A short ride north of the megapolis' center of central Tokyo is Yanaka of Taitō district, a shitamachi neighborhood with the old Tokyo vibes still in place. Yanaka is the opposite of Akihabara's digital blocks of the matrix. You might catch a delusional cosplaying character from Ohio in this part of town, but certainly not in Yanaka. 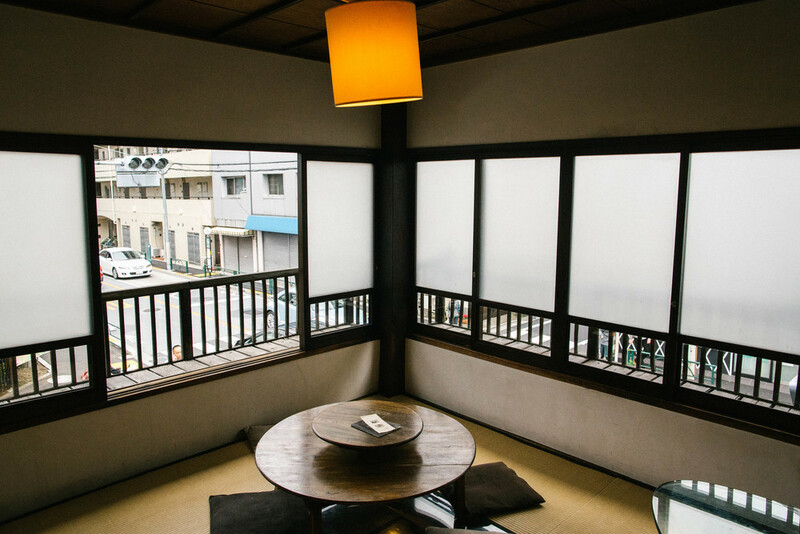 Taitō district's planners are witnessing great interest from foreign visitors and are pursuing efforts to introduce local arts, artisans, small businesses and other attractions. Kayaba Coffee is guaranteed to be in the conversation when Yanaka is mentioned. Kayaba Coffee's building has been standing since 1916 with the kissaten (cafe) in business from 1938 until 2006 when the original owner has passed. The kissaten was revived in 2009 with the help and collabo of locals, Taito Cultural & Historical Society and SCAI The Bathhouse. Yuko Nagayama & Associates delivered the architectural duties of refreshening the space with Japanese minimalism and midcentury feels. Just absolute-ism. It is in the fabric of the people to conduct practices without the disturbing of things that exist whether they're living things or not. The final product for the coffee shop is an unassuming old building but modern without it being some w.a.c.k. glass building by a VC with 24 successful apps. This approach is a common understanding in the "new" modern in design, business decisions and having responsibilities as members of this planet. Kayaba is a reference point for Japan's reign on having untouchable coffee shops. Find yourself with patrons ranging from young creative types decked out in Supreme and Palace to classy folks of age who have been regulars for years. Order their legendary egg sandwich (¥‎500) with a cup of coffee and act like you know. With the attention to detail you will expect local sourced ingredients which of course they deliver on. Take a stroll to SCAI The Bathhouse after you achieved one of your #lifegoals in visiting one of the coolest coffee shops in the world. journata is a digital briefing on culture and the arts through wayfinding New Yorkers. We travel on a budget and seek out the best opportunities without compromising. We dig for individual characters, out of print art books, old man bars, decrepit underground shopping streets, and everything in between.